BBFC Consumer Advice:Rating & Running Time TBC. 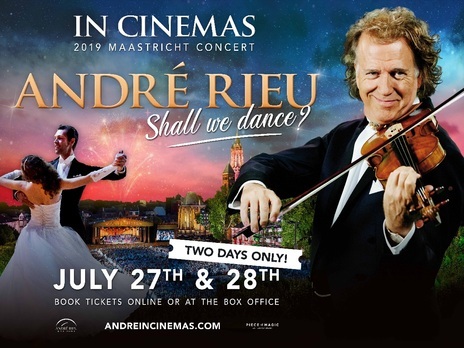 André Rieu’s annual hometown Maastricht concerts attract fans from all corners of the globe. The medieval town square is transformed into a spectacular backdrop for unforgettable concerts filled with humour, fun and emotion for all ages – and, of course, magnifi cent music. BBFC Consumer Advice: Rating & Running Time TBC.